In the game of tennis, there are many strokes and grips that make a fundamental difference to playing the game well. 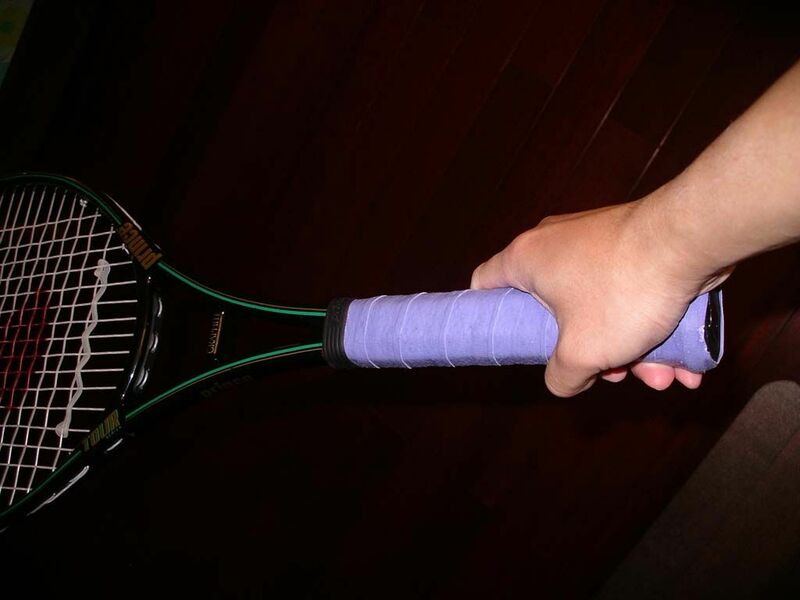 Although no grip is perfect or universal, the semi-western forehand grip has steadily been rising in popularity. In fact, it is now one of the most popular forehand grips taught in tennis. There are many pros and cons of the semi-western grip. Here we will explore some of these and have a closer look at why the semi-western grip is so popular. How does this grip hold? First of all, it is useful to understand what a semi-western grip looks like. When holding a tennis racket, the palm of the index fingers against the lower bottom side of the racket. This may not feel entirely natural at first for beginners as it is quite an extreme hold, but it does have many benefits. The primary benefit of the semi-western grip is to promote a wide range of topspin on the ball. Rather than holding the racket at a neutral angle, the semi-western grip is more angled and racket is closed face and pointing downward. When the ball and racket meet at this angle, it is more effortless to create a lot of topspin and send the ball flying. Also, the semi-western grip gives the player a chance to hit the ball higher over the net. This makes sure that the ball drops back into the court with all the topspin generated. In turn, the player is able to play with more force, making it harder for the ball to be returned. Of course, no grip is perfect, and while the semi-western grip does have its benefits, it isn’t suitable for everyone. The first problem that many players encounter with this grip is that it can be difficult to make a quick transition from forehand to volley. The rotation of the grip is harder to muster at a fast pace, meaning you might miss a good volley opportunity. Additionally, the semi-western grip isn’t ideal for hitting low balls. The semi-western grip is designed to hit the ball to generate topspin, which doesn’t work from the angle of the ball being lower to the ground. Overtime, however, players can learn to quickly adjust the grip from semi-western to other in order to make the shots closer to the ground.